Liessmann Construction Co Inc. is located in Farmington, New Mexico and provides custom home building throughout the Four Corners Region. We've been in business for over 25 years and are able to continue our passion through referrals from repeat clients. Please explore our website and Contact Us for Custom Home Building. Blessed with limitless views of the gaping countryside and complex sandstone formations, Northwestern New Mexico is a welcome territory for custom homes that flatter the terrain and uphold its splendor. With respect for our natural canvas, we craft custom homes that complement the distinctive nature of the land. 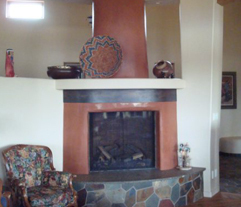 Please call us at 505-327-5502 for custom design build services. We work across the Four Corners Region. Including, but not limited to, Custom Home Building Services for Farmington, Aztec, Bloomfield, Kirtland, & Flora Vista, New Mexico.